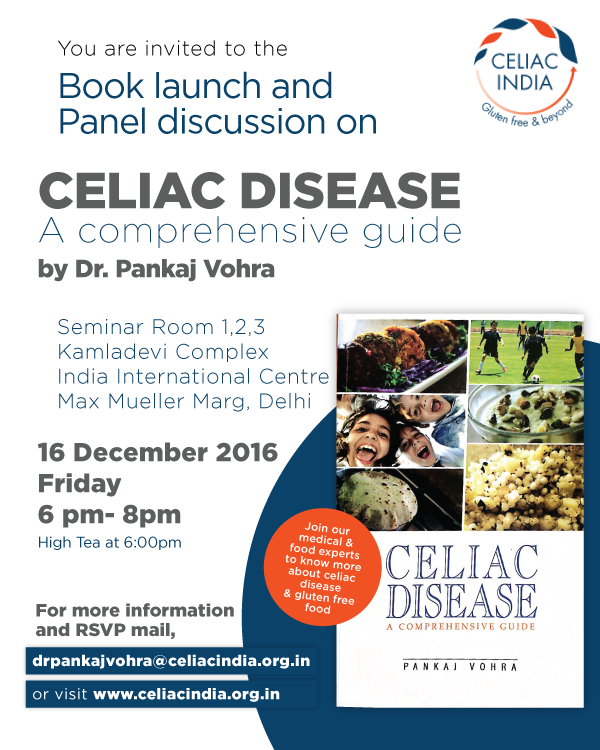 Celiac India and Beyond Foundation is a non- profit company established in the year 2014, under section 25 of the Indian Companies Act, with the aim to positively impact the health and happiness of those affected with celiac disease. This venture based in Delhi, India has been founded by Dr. Pankaj Vohra, who is currently an Associate Professor in the division of Pediatric Gastroenterology, Hepatology and Nutrition at the University of New Mexico, Albuequerque, USA. He was one of India’s leading Pediatric Gastroenterologists and practised as a Senior Consultant, Pediatric Gastroenterology and Hepatology at Max Healthcare, New Delhi, India for 15 years . Read more about our goals here.